Join Berg Adventures for a magnificent journey of discovery to Siberia and the spectacular environment and cultures of Lake Baikal! Russians reverently call the world’s largest lake the Pearl of Siberia, the Sacred Sea. Its pristine waters lie in an immense watershed of forests and snowcapped mountain ranges. A World Heritage site, Lake Baikal is among the planet’s great wild ecosystems. It is here that East really does meet West. Nomadic Buryats from Mongolia have long brought their yurts and colorful traditions to Baikal, and Ghengis Khan is thought to have been born on an island in the lake. Cossacks from Moscow settled on the western shores, beginning the infusion of European influences today represented by the universities and thriving intellectual vigor of Irkutsk. Graceful onion-domed churches, Buddhist temples, and the continuing presence of Buryat Shamanism speak to the rich diversity of the people of Baikal. The lake is both gorgeous and staggeringly immense. Four hundred miles long and a mile deep, it contains twenty percent of the earth’s fresh water, 25 million years old, it is the heart of a remarkable ecosystem dominating eastern Siberia. Plants and animals abound in the lake and along its shores, many species existing nowhere else in the world. Lake Baikal and the mountainous terrain nearby. 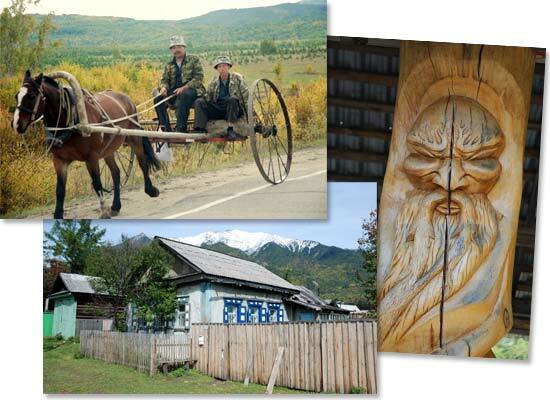 Our Berg Adventures journey will explore the small cities of Irkutsk and Ulan-Ude, and little villages dotting the lakeshore. Protected by five national parks and reserves, the varied landscapes surrounding the lake offer backcountry and shoreline access along a network of hiking trails. 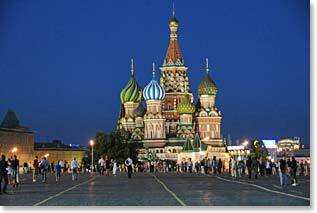 A night on the Trans-Siberian Railway will take us from one side of Baikal to the other. Best of all, our Siberian friends will introduce us to their lives, their communities, and their lake. They are passionate about this place that is their home, and eager to share it with visitors from afar. The Berg Adventures Lake Baikal trip will begin in the city of Irkutsk and include explorations both of the more populated southern end of Lake Baikal and the remote regions further north. Immersed in Russian and Buryat cultures, we will come away with a fresh awareness of this remarkable and remote place on the globe, and a deep appreciation for the people and the natural splendor of Siberia and Lake Baikal. The Baikal basin, at an elevation of only 450m/1,476ft above sea level, experiences a continental climate, meaning that it can be quite warm during the days and in direct sunlight, but becomes quite cool on cloudy days and at night. The average daily temperature highs and lows in September, autumn in Siberia, is about 10 to -5 degrees Celsius or 50 to 25 degrees Fahrenheit. Within about 25km of the lake itself, the conditions are more coastal, with steadier, less variable temperatures. You should expect to be adjusting your layers all day as you and hike around Lake Baikal. This trip is for energetic people who like to be active and have a spirit of adventure and a positive attitude. You should be in good health and reasonably fit. 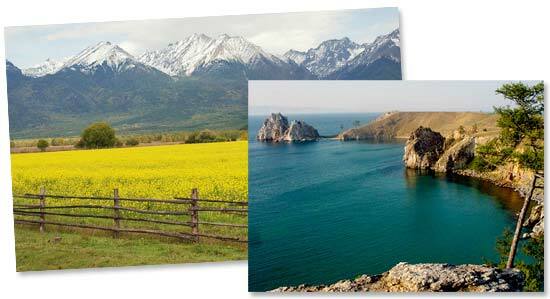 Travelers who can walk a few hours a day unassisted will be able to fully enjoy the Lake Baikal trip. Most excursions are moderate activities though some optional explorations involve short, steep climbs or longer walks. Our guides will inform you fully of any challenges an activity might present, and help you tailor each day to make the most of opportunities. You should also be comfortable on the water as we spend some time cruising and sightseeing on a boat.